The Doctors of BC’s mandate is to promote a social, economic, and political climate in which members can provide the citizens of British Columbia with the highest standard of health care while achieving maximum professional satisfaction and fair economic reward. In support of its mandate, the Doctors of BC develops policy that represents the collective view of its membership. Policies may be developed directly by the Board of Directors or by ad hoc committees, standing committees, or Councils operating on behalf of the Board of Directors. The Doctors of BC primarily issues policy in the form of policy papers and statements. Through the Council on Health Economics and Policy (CHEP) and the Council on Health Promotion (COHP), the Doctors of BC produces policy papers relating to the economics, organization and management of the health care system, community health, and health promotion. Policy papers reflect the views of the membership in defining priorities and parameters for action in response to health needs and available resources. The papers are evidence-based and include extensive background research and the evaluation of peer-reviewed literature, literature produced by various stakeholders, and where appropriate, new data produced by the Doctors of BC. 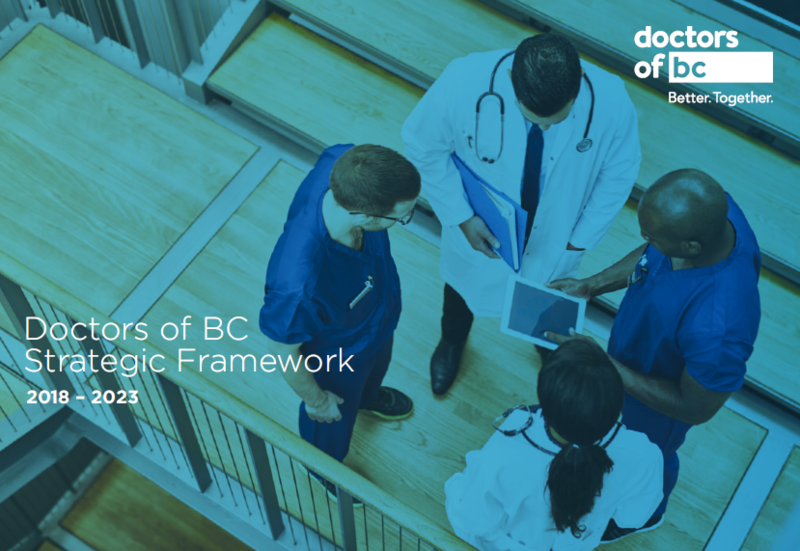 All policy papers are reviewed by key stakeholders, approved by the Board of Directors, and offer commitments of the Doctors of BC and recommendations to relevant stakeholders on issues affecting health care and the practice of medicine. Approved by the Board of Directors, policy statements outline the official position of the Doctors of BC on specific health care matters. They are periodically reviewed to reflect current research and the views of the membership. Policy statements are evidence-based and include background research and the evaluation of peer-reviewed literature, literature produced by various stakeholders, and where appropriate, new data produced by the Doctors of BC. Doctors of BC has prepared a list of common acronyms to support us in our communications with members.